Going through a rebrand can be tricky. Even some of the most successful companies have missed the mark. 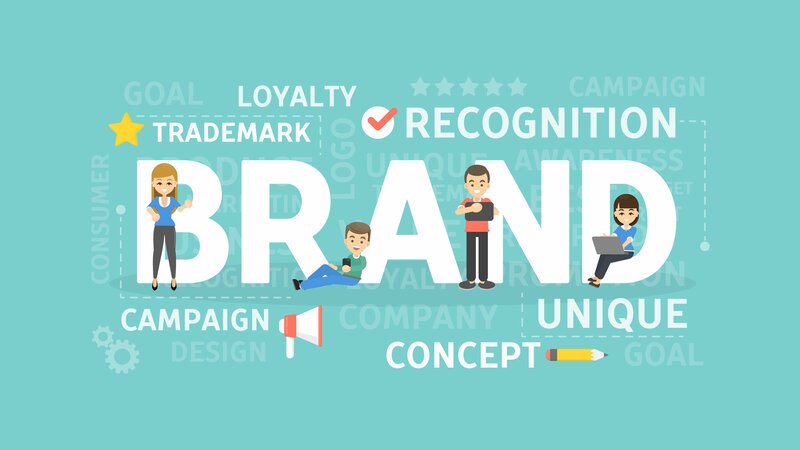 Whether you are only considering rebranding or already in the middle of it, we have compiled some things to think about to get you on the right track! Old Spice is a great example of a successful rebrand based on their audience changing. While their products are primarily made for men, in 2010 they realized that 60% of men’s body washes were purchased by women. This led them to create a rebranding strategy that would win over a female audience. They called it “The Man Your Man Can Smell Like” and their overall sales doubled from the previous year. Are you merging? Are your offerings changing? If so, rebranding may be a good idea. Verizon announced that when it acquired Yahoo it would merge it with AOL and brand this subsidiary “Oath.” This has now changed, and they rebranded it again this January under the name Verizon Media. It just goes to show that rebranding can be very tricky and even large companies can struggle to get it right. If your current brand is confusing, rebranding can be a great way to streamline your efforts and make sure that people understand what you offer. In 1994 Federal Express had a lot of different offerings and services all under different names. After a year of research, they created FedEx and a new cohesive brand was born. Sometimes you just need an update. Pepsi has changed their logo 11 times over the course of 120 years. However, you need to be careful, Gap attempted a logo redesign in 2010 and immediately received backlash. They changed back to the old logo within 6 days. Don’t just change your branding because you think you need something different. Remember, if it isn’t broke don’t fix it. There is a lot to be said for brand recognition and loyalty attached to certain brands. If you do decide that a rebrand is right for your company, make sure that you are thinking it though and creating a cohesive plan to put it into place. When you are planning to rebrand, it is important to focus on your mission statement, values, and what your brand stands for. These things will help you come up with a direction that your customers will support and understand. The planning stage of the rebrand is very important. It is a tough process to navigate, and even companies with large resources can get it wrong. Make sure that you are not just creating a new logo and putting it out to the masses, you want your rebranding efforts to permeate all aspects of your business to create a holistic strategy. When you are outlining your plan, go through all the components of your branding that you currently use and decide what you are going to keep. Make sure that whatever you decide is going to stay cohesively integrates with your new branding strategy. After you come up with your plan, take a look around at the competition. Are you on par? Are you too similar? Do you think your new branding will be well received in your market? Keeping an eye on trends and doing market research will help you feel confident in the direction that you are going. You have done all this wok to create a new branding strategy and now it is time to put it to action! Roll out your new brand to the world and show off what you have created. It is important to be transparent and honest with your consumers about why and how this rebrand happened. Listen to the response and track the results. When you have your rebranding strategy in place give us a call at Print Tech for all your new branded materials. We will be happy to assist you with all these new branding components to help your rebrand shine!